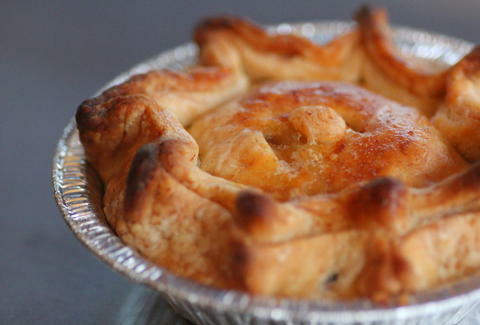 You don't have to be good at math to appreciate 314 PIE, a Kickstarter-funded mobile eats operation helm'd by a Tom Douglas vet, and a guy who got into pies, not as a guest on Double Dare, but traveling to his old job in Antarctica (seriously). Under ramparts of housemade dough, 314's hiding savory options like the Old-School Steak Pie w/ grass-fed beef, mushroom & onion in a beef stock reduction, and a chicken, cheese & bacon number about which they don't feel the need to "say more", or in John Cusack's case, Say Anything. They're also slinging sides (garlic mashed, English peas w/ herbed butter), and seasonal dough-pockets like the Goose, which was overrated as a football player, but, thanks to its apple & walnut stuffing, is underrated as a holiday food option. Prefer things sweet, like the movie Say Anything? Then opt for seasonal fruit pies made with ever-changing, local organic fruits, so you know there'll be, like, infinity options. Or at least 3.14 without repeating.